Observation - Plums & Custard - UK and Ireland. 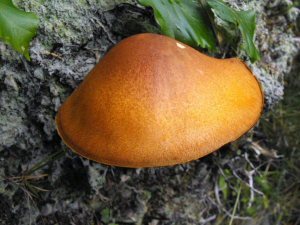 Description: Striking yellow fungus with a wash of plum colour. Growing on wood. Gills yellow, crowded, adnate. Striking yellow fungus with a wash of plum colour. Growing on wood. Gills yellow, crowded, adnate.